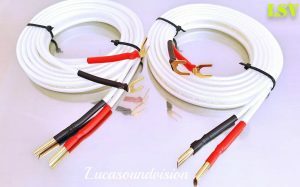 A stereo pair ( 2x 4m ) TALK 3 Terminated Audio Speaker Cables. 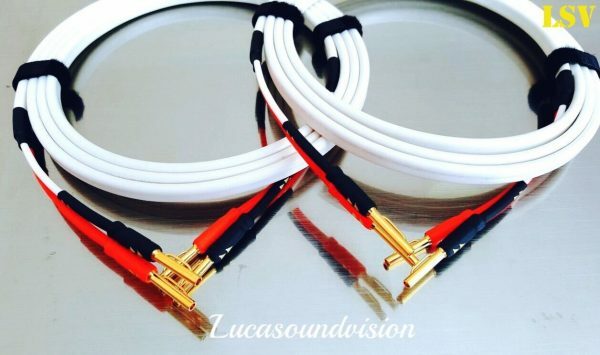 NOTE: The cables are directional so prior to connecting, make sure that the arrows run from the amplifier to the speakers input terminals post. TALK 3 Bi-Wire Link (Speakers Jumper Cables). 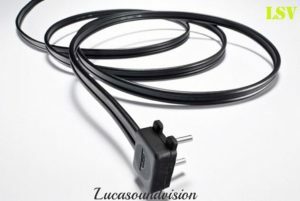 The previous iteration of this speaker cable was an Award winner. Now it’s back – but years are lifetimes in hi-fi, so has the Talk 3 lost its relevance? Thankfully no. Given the price £4 unterminated per meter the results are extremely satisfying, with this cable performing admirably with detail, dynamics and subtlety, while there’s a lovely expressive midrange and firm bass too. It’s not the last word in finesse, but at just 60 per cent of the price of the Chord Carnival Silver Screen. 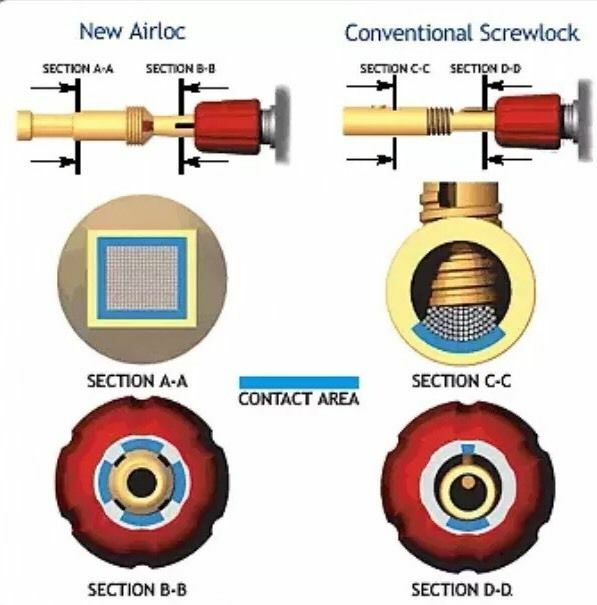 If you would like a different combination of spade connectors and banana plugs, or different cable lengths, please ask. Please have a look at our other items, Any questions please contact with me. Thanks for looking.